A number of recently completed kindergarten projects have proved that designing user-centred environments for the more diminutive among us shouldn't be at odds with creating highly expressive structures. 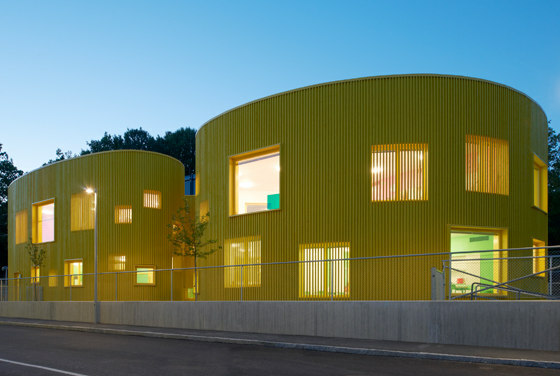 Architonic takes a look at a selection of nursery schools with a grown-up ambition. It's probably no surprise that our sense of scale changes as we grow up. I once revisited my primary school as an adult and was struck by the narrowness of the corridors, which had once seemed so generously wide, by the size and weight of doors, whose opening had in those early years of my life required well-nigh Herculean effort, and by the almost comically small Robin Day polypropylene chairs that still, much to my design-appreciative relief, graced each classroom and which, at one stage, could be found in most schools, as well as church halls and doctors' surgeries around the country. Depending on where you stand in relation to the function, or functions, of design and its effects, design is either something that should always be user-centred or which considers user need and experience as just one of a number of factors. Perhaps no building typology foregrounds the issue of how we encounter architectural space more than the nursery school. If we accept that our built environment has a direct effect on our behaviour and well-being, then the design of kindergartens, which have to potential to impact on the social and emotional development of young lives, comes with a particular responsibility. A number of recently completed architectural projects have attempted to create environments that consider the specific needs of their diminutive users, both in terms of how they negotiate space and how they respond to surroundings that engage and stimulate, while at the same time producing expressive buildings that can be appreciated on an aesthetic level by the more adult of us. 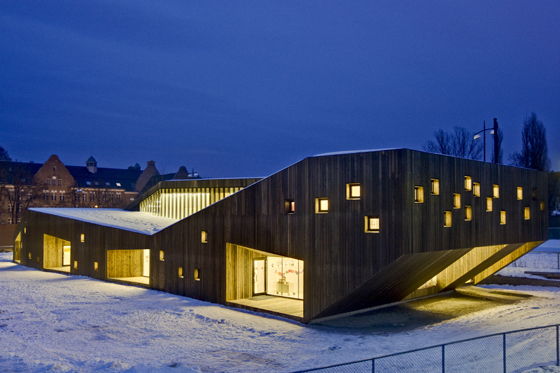 One such project is the Fagerborg Kindergarten by Oslo-based practice RRA, which comprises four classrooms, two for 1- to 3-year-olds and two for 3- to 6-year-olds, that can be used either independently of each other or combined. 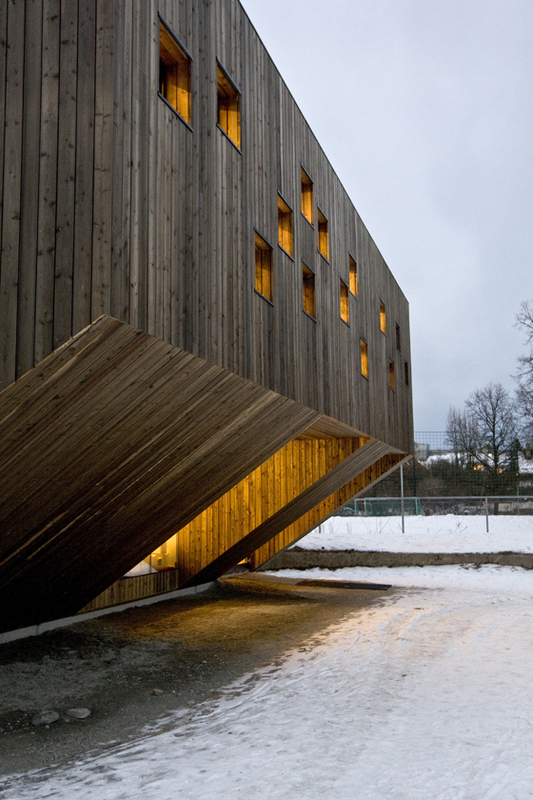 Clad in wood, the structure is located in one of the Norwegian capital's city parks and, on one of its sides, cantilevers up to form a shelter for the entrances below. 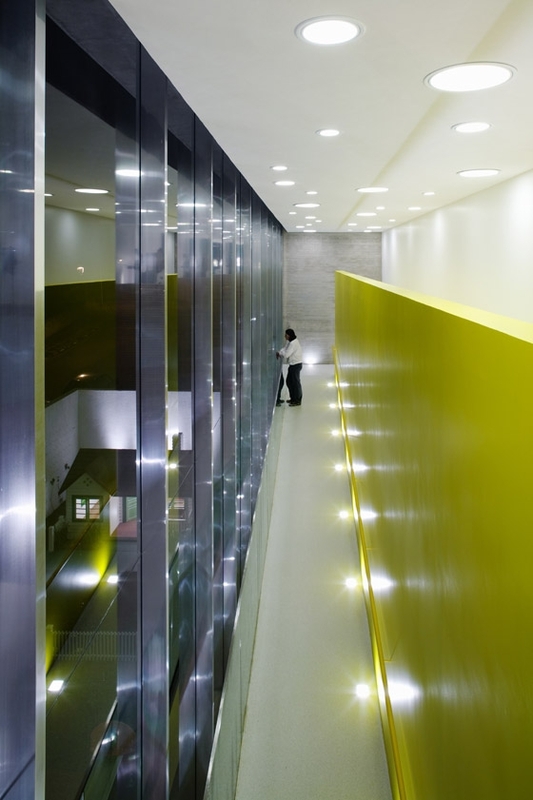 Administrative areas are located on the first floor, which are accessed by colour-filled staircases. But beyond its contemporary form, the nursery is organised in such a way as to provide an outdoor area akin to an enclosed garden. Interior and exterior space work in dialogue to provide a continuous, considered environment for its users. 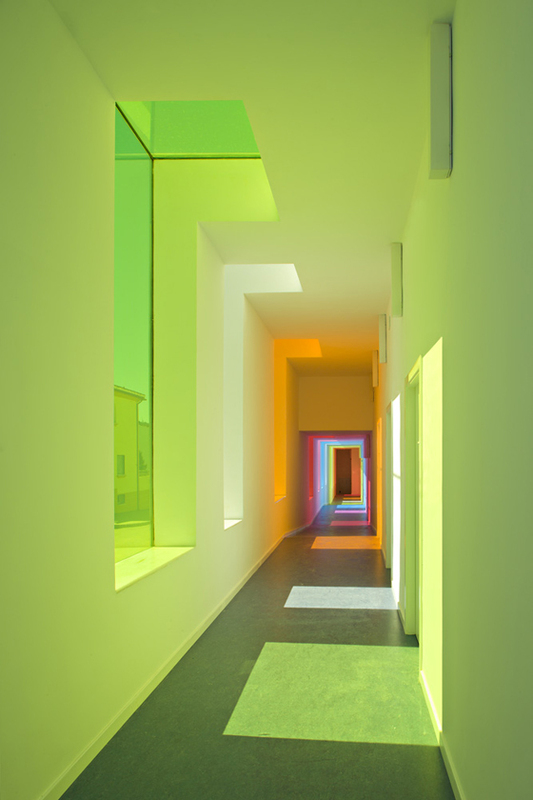 Spanish architect Alejandro Muñoz Miranda's Educational Centre En El Chaparral in Granada also embraces the outside, but in this case uses it as a means of animating diverse inside spaces: as natural daylight passes through the brightly coloured glazing of its communal areas, it creates a dynamic chromatic effect, while the classrooms themselves are installed with colourless glass windows. 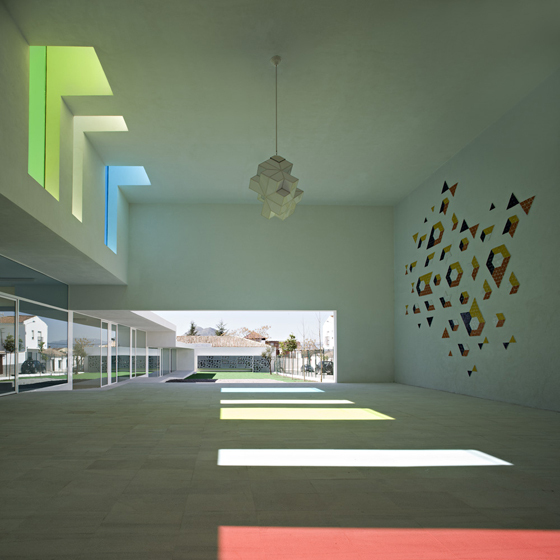 The theme of outside/inside continues in the form the kindergarten's interior courtyard garden and covered playground, onto which the classrooms open. A notable feature of the project, which foregrounds the issue and impact of scale through the way in which it plays with it, is its varying sections – 'a compression-decompression game', as the architect describes it, where its younger users and other visitors to the centre, encounter spaces of changing heights and widths. The curved, wood-slatted façade of the structure is punctuated with windows (and a number of semi-concealed windows which sit behind the slats), positioned at differing heights, adapting light and views of the outside to the scale of children, while the building's plan creates a partially enclosed exterior courtyard, through which its visitors arrive and leave, functioning as an almost protective, interfacial space between inside and out. Once again, the way that its young users perceive and respond to space has been given significant consideration. 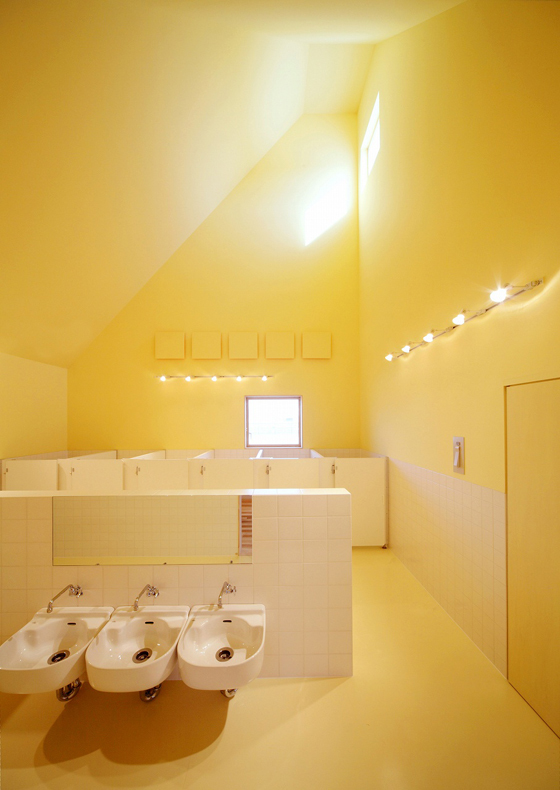 Interfacial space that's given a real purpose is something that appears in kadawittfeldarchitektur's Kindergarten Sighartstein in Salzburg, Austria. 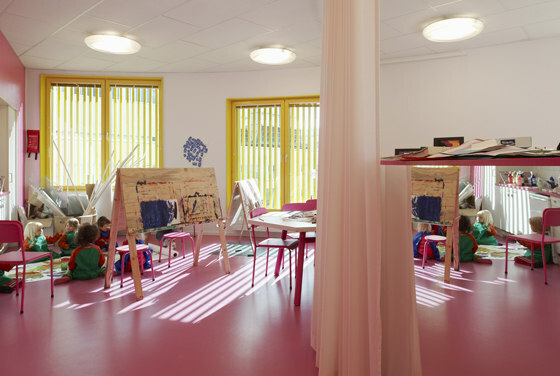 Connecting the kindergarten-group rooms on the ground floor, which have direct access to garden, and the upper-level play-group rooms is a circulation space that doubles as a 'Bewegungsraum' (literally a movement space), facilitating communication and interaction. The exterior of the building also offers a dual purpose. 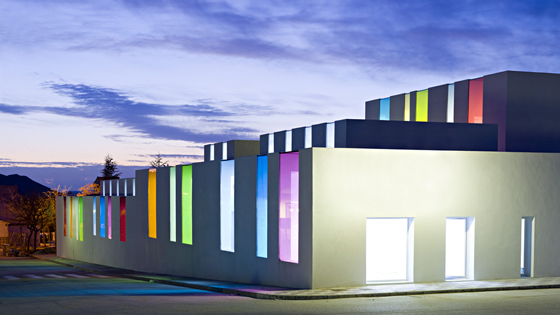 The sculptural, stylised-grass façade takes a cue from the kindergarten's physical setting, surrounded, as it is, by meadows and fields, and thus provides a sense of visual continuity; but it also, curtain-like, partially screen the windows on the structure's upper level. 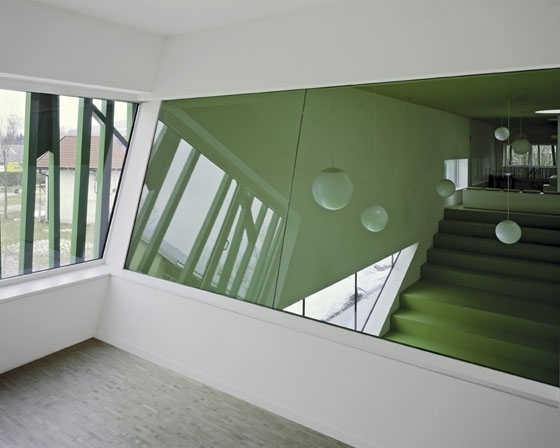 It is painted green, the colour forming part of a wider palette of greens used through the project, chosen not only for its symbolic value (green representative of one's youth), but also for its alleged psychological effects – green is purported to have a calming effect, and is said to encourage, among other qualities, tolerance and contentment. From green to yellow. 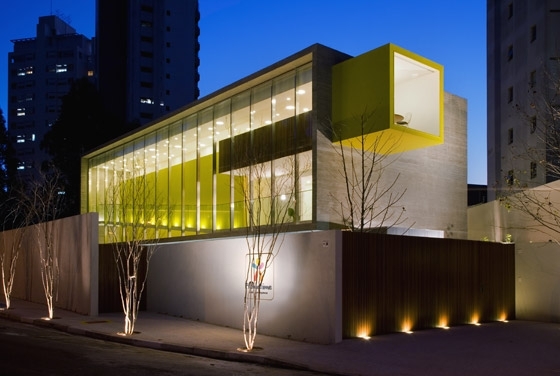 São Paulo, Brazil, is the location of the Primetime Nursery School, designed by local architects studio mk27, where yellow is given full expression through the project, both on its exterior, where it demarcates the sides of a box-like, cantilevered element on the end of the structure, and on internal walls and other surfaces. 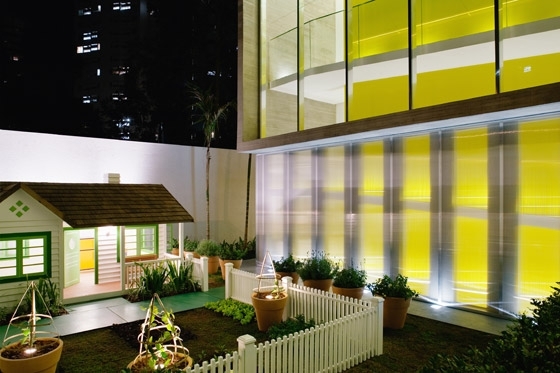 This chromatic emphasis is part of the architects' delivery of a decidedly ludic environment, which marries functional requirements with a space that challenges the playschool archetype. 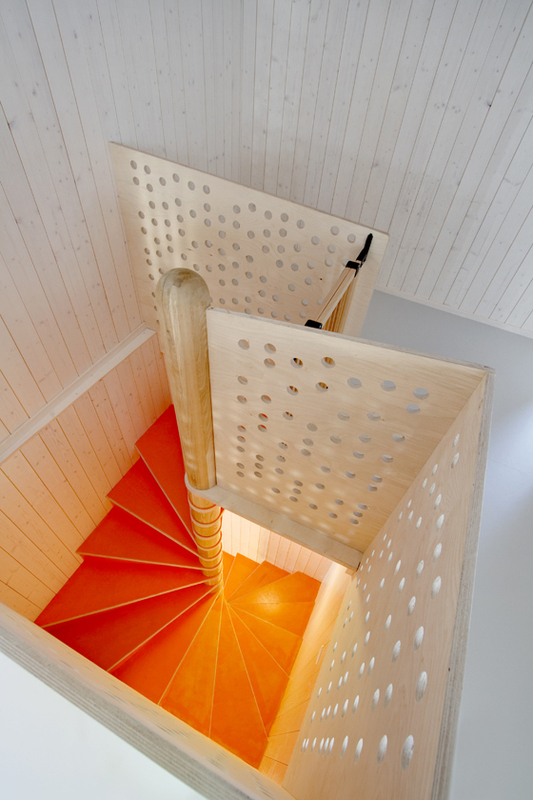 Taking into account that the building's users take small steps, circulation is achieved via a series of ramps, while soft flooring takes the sting out of abrupt landings. 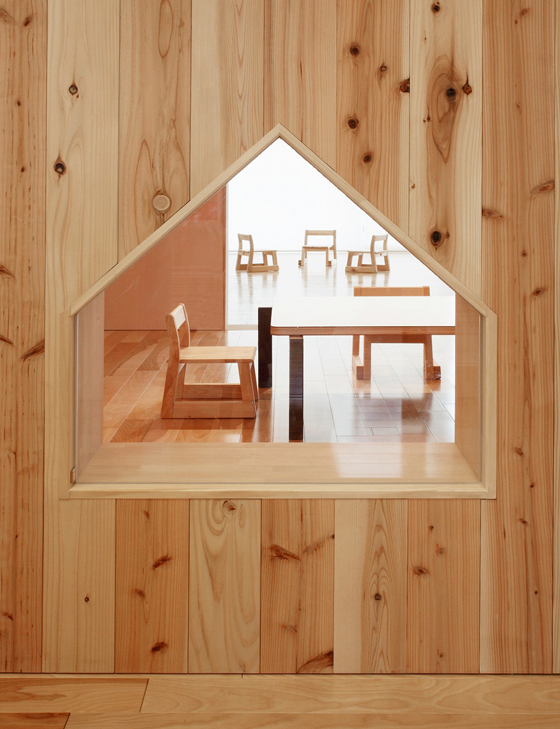 Extensive glazing ensures a lot of natural daylight, and outside, in the garden, a small-scale, vernacular-looking playhouse, in contradistinction to the large and resolutely contemporary main building, functions on one level as a shot of architectural irony. 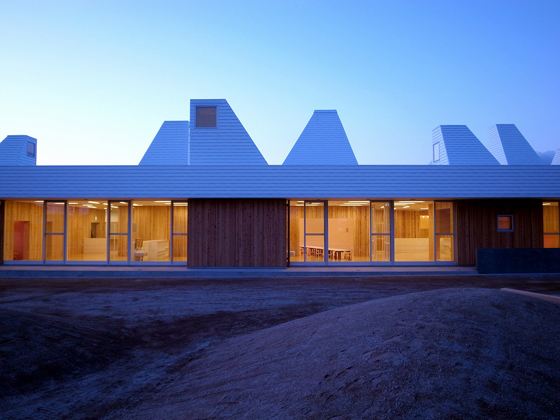 The way we perceive scale when we are very young is also central to Archivision Hirotani Studio's single-storey Leimondo Nursery School project in Nagahama, Japan, where the intimacy, in plan, of seven small playrooms is counter-balanced by the height of the spaces, each of which is topped by a tall, pyramidal 'chimney' that draws light down into the rooms below through a square window. 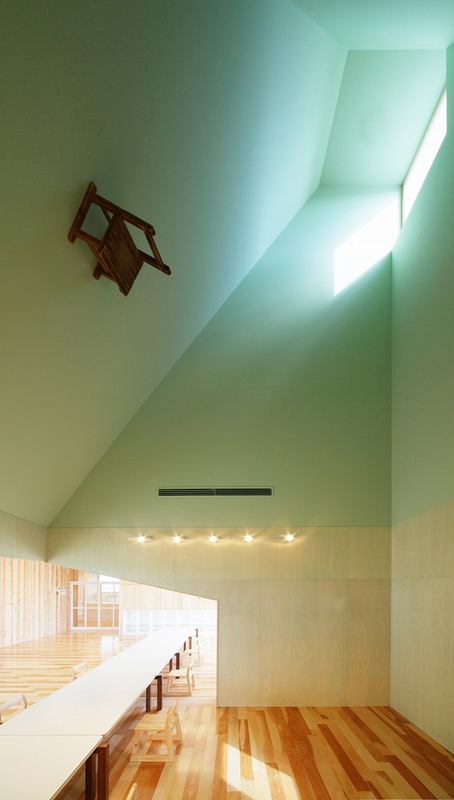 Internal walls are punctuated with a variety of playful shapes (one of them the archetypal house shape, with pitched roof) allowing users to gaze from space into another, reinforcing the sense of a small community, while a chair, playfully mounted on the ceiling of one of the playrooms, encourages you to consider the whole of the space as active and working. 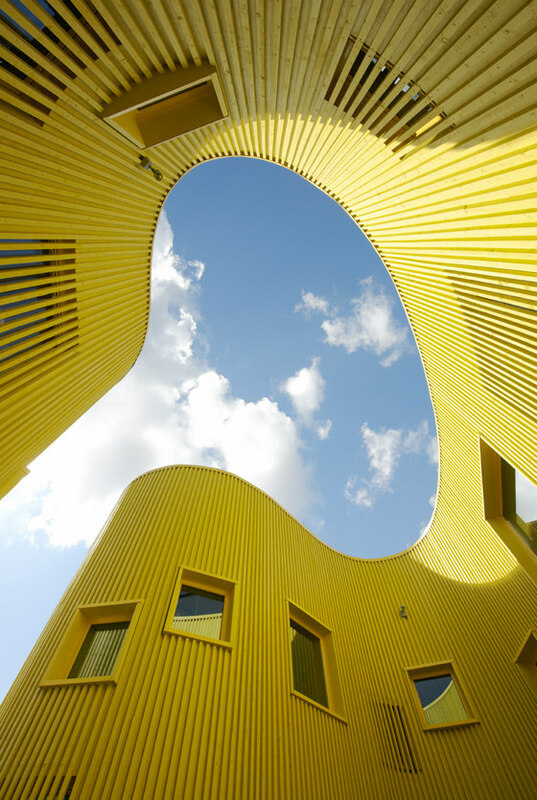 The future's certainly looking up for kindergarten design.